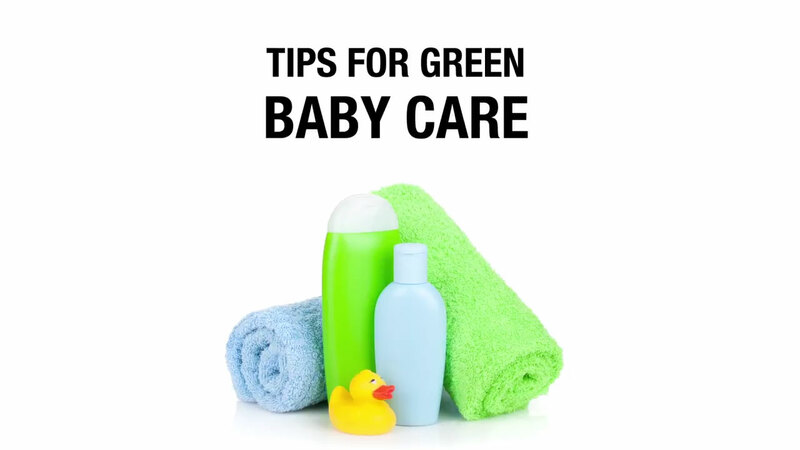 - For green baby care, I would focus on the same three ways that chemicals get into all of us, is through our mouth, through our nose, and through the skin. When it comes to the nose, for babies, the one green purchase I would make is a green mattress for the babies. Because conventional crib mattresses are often made from, like, a polyurethane foam, a solid petroleum, and they have to have flame retardants put in, to be able to stop that from bursting into flame, then often wrapped in a PVC vinyl. So there's this little cloud of chemical fumes right on top of it, and the babies are there for half of their day often. So I would suggest, when you get a mattress, opt for something that's organic, or clean from all the chemicals. So that's what goes through the nose. What goes through the mouth, breast feeding is by far the greatest thing you can do. It's amazing, I mean it's the ultimate in eating local, the packaging is great, and they're getting food that is so good for them in every way, that's tailored to their specific moment in time. And then whatever products you put on that great baby skin, don't go for the brands that happened, that, just because they were used on you. Think about them and look for things that are made with attention to what's going to absorb into the baby's skin. Look for, not just not negative ingredients, but actually healthy ingredients in skin products.